Health insurance is a hot button issue in America today, yet so many don’t fully understand how it works. I am going to review some commonly asked and frequently confused topics. When going through your benefits paper work you may come upon terms such as Flexible Spending Account and Health Savings Account and be unsure exactly what these terms mean or the difference between them. A Flexible Spending Account or FSA is an option provided by some employers that allows you to set money aside for medical expenses and reduces your amount of taxable income. You would choose an amount of pre-tax dollars to be set aside from your paycheck each pay period; this may be a set dollar amount or a percentage of your paycheck. You then may use this money for health related expenses through out the year, such as co-pays, deductibles, prescriptions etc. Some employers offer a FSA card that acts as a credit card. Others may require you save your receipts and submit them to your benefits administrator or the third party administrator handling your account. It is important to note that with an FSA you will have a year to utilize these funds. This may be a plan year or a calendar year. Some employers have grace periods of 30, 60 or 90 days after the end of the year of which you can utilize these funds. However, once the year has passed and your grace period is over, any funds remaining in the account will be forfeited. This is why it is important to select an amount of holdings that will meet your needs. Also, the IRS does not allow medical expenses paid with your FSA to be claimed as a tax deduction. 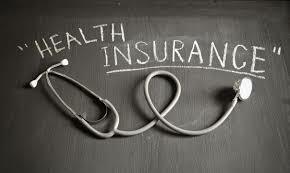 Health Savings Accounts (HSA) were enacted by the Medicare bill signed by President Bush in 2003. This allows individuals with approved high deductibles health plans (HDHP) to save for medical expenses on a tax free basis. There are minimum deductible requirements and maximum contributions limits. If you are eligible, you can use these savings to pay for your medical expenses or those of your spouse or dependents. You can find out more information about FSA’s and HSA’s on the IRS. The Department of the Treasury also has a direct link to information about HSAs on its web site.